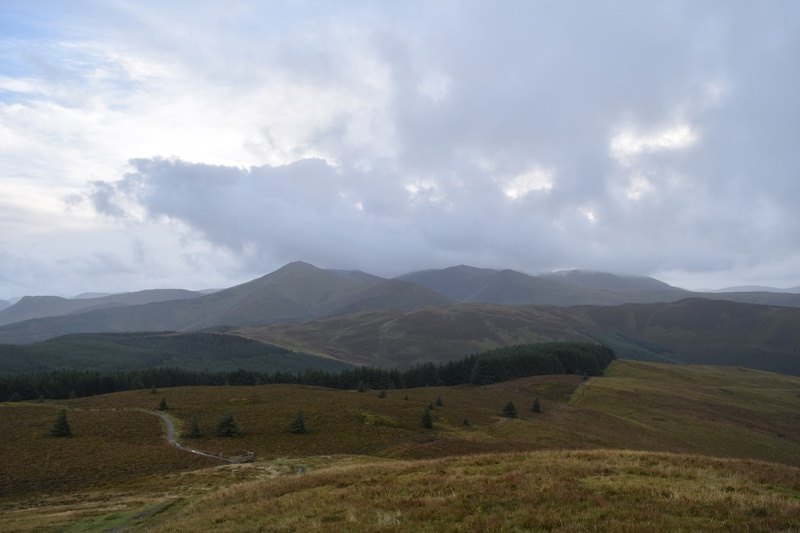 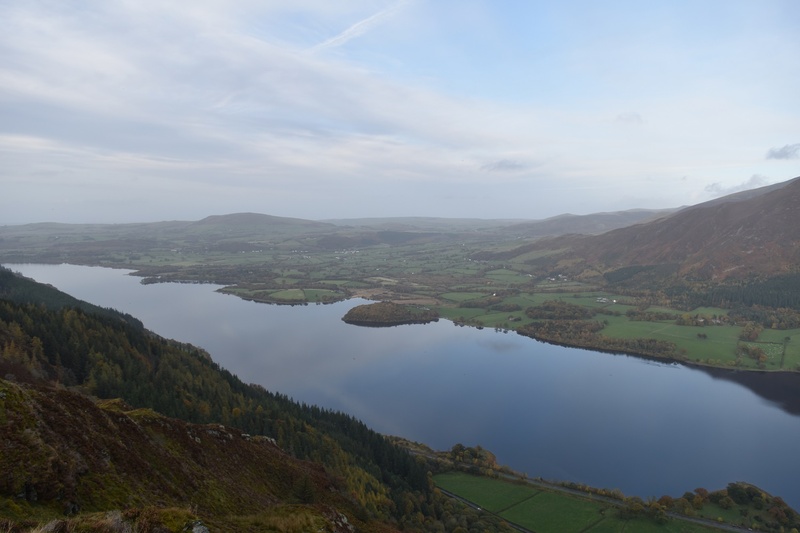 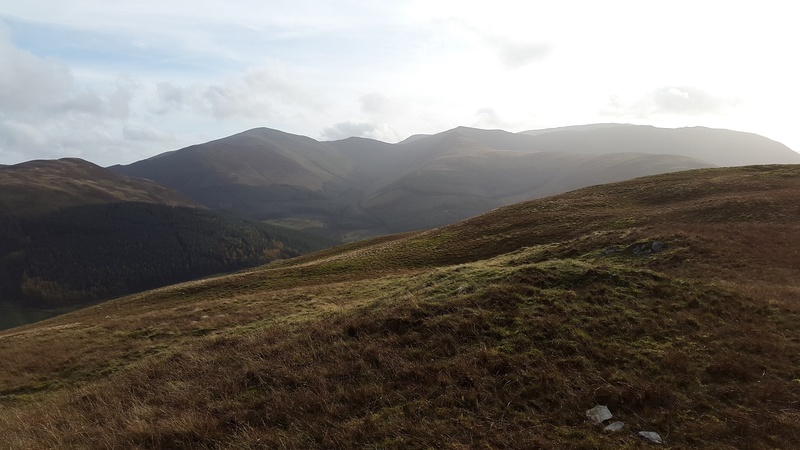 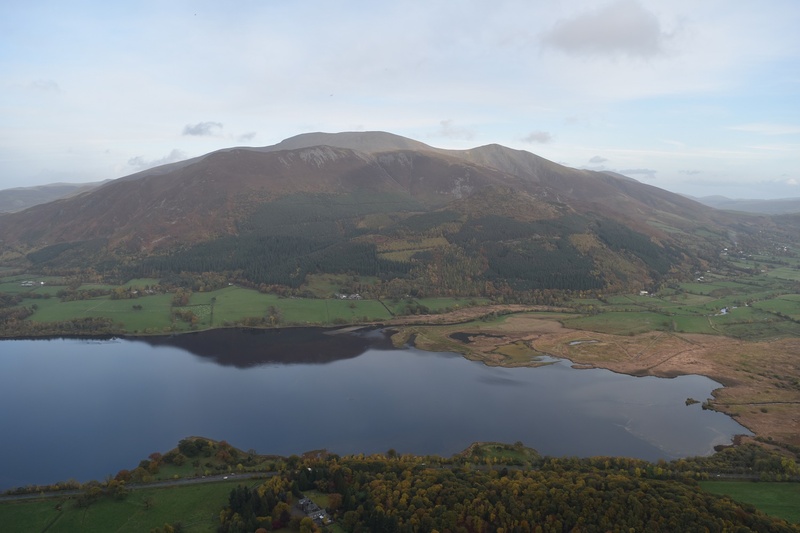 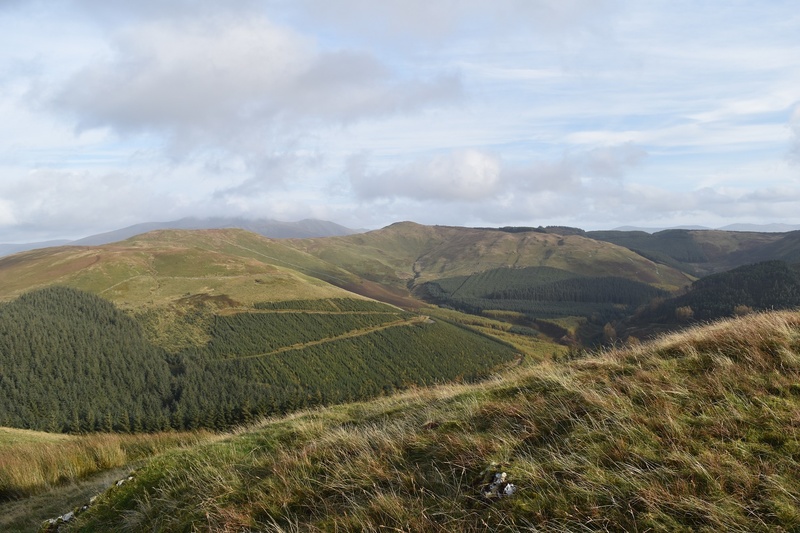 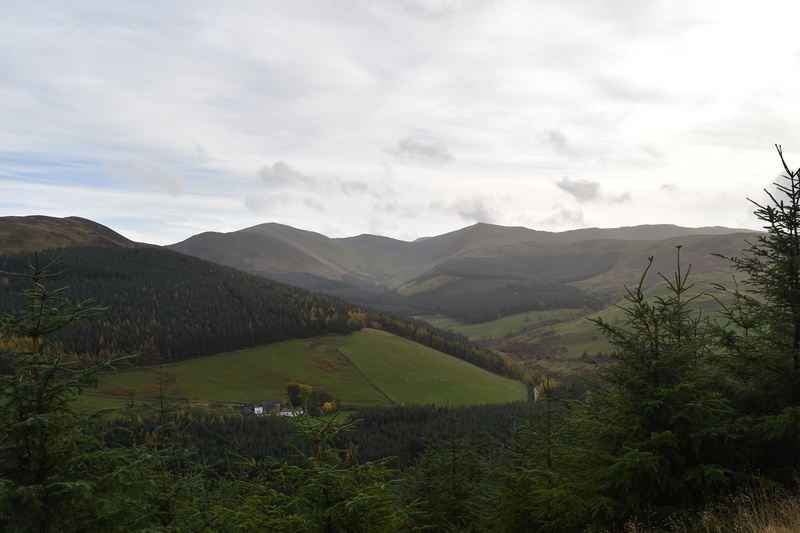 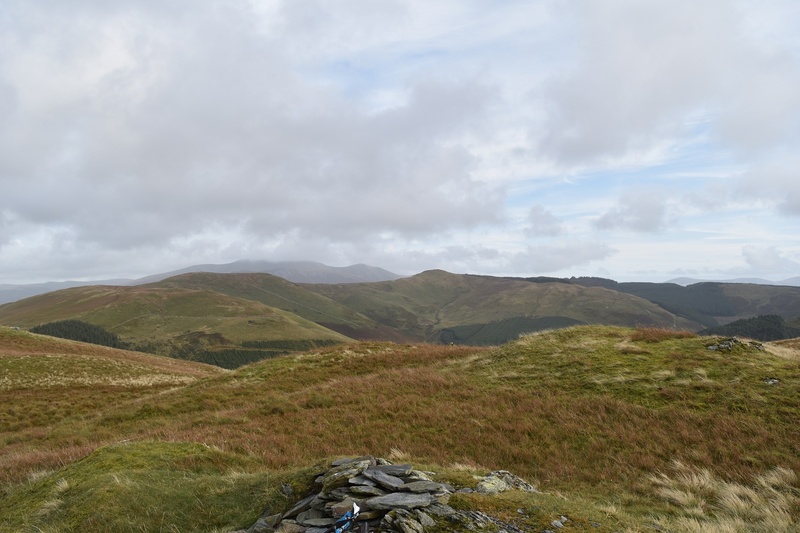 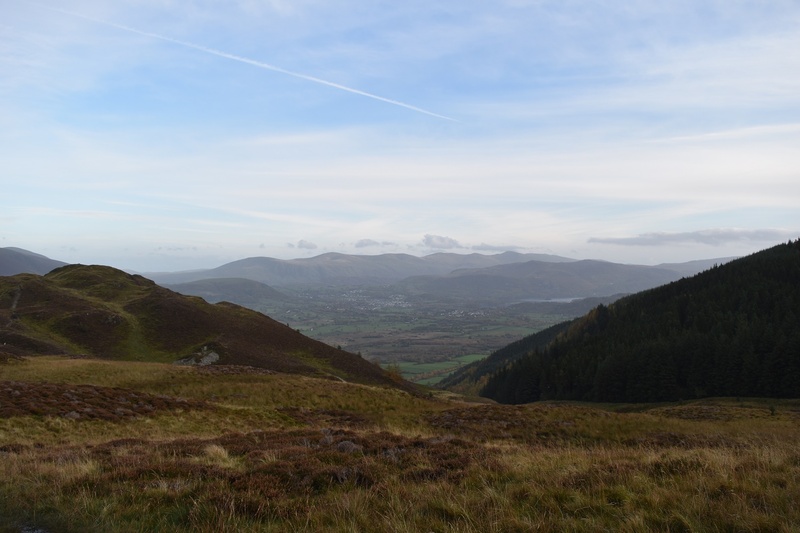 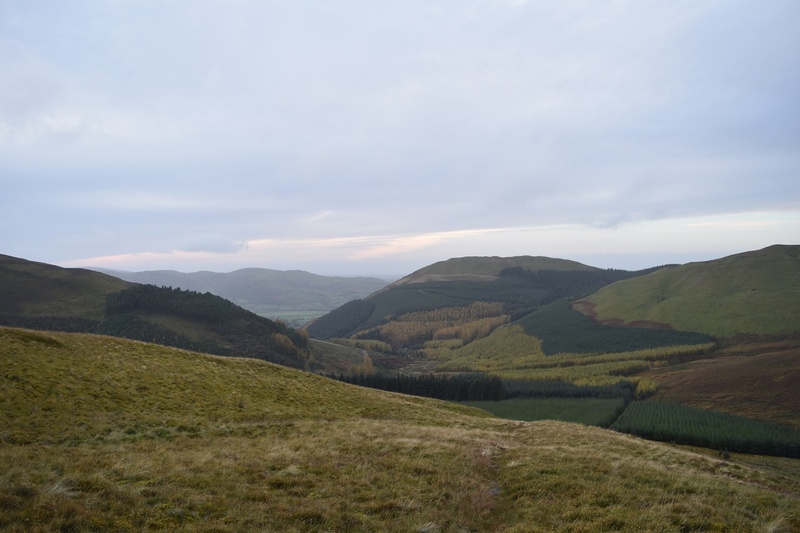 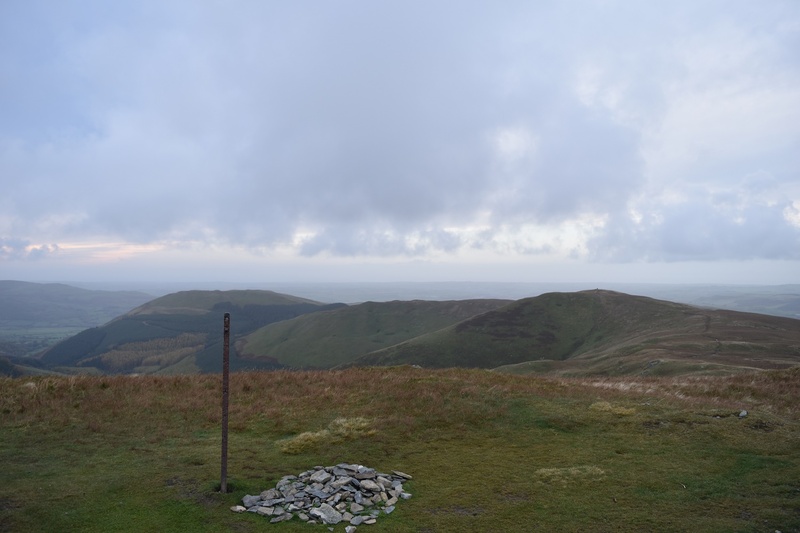 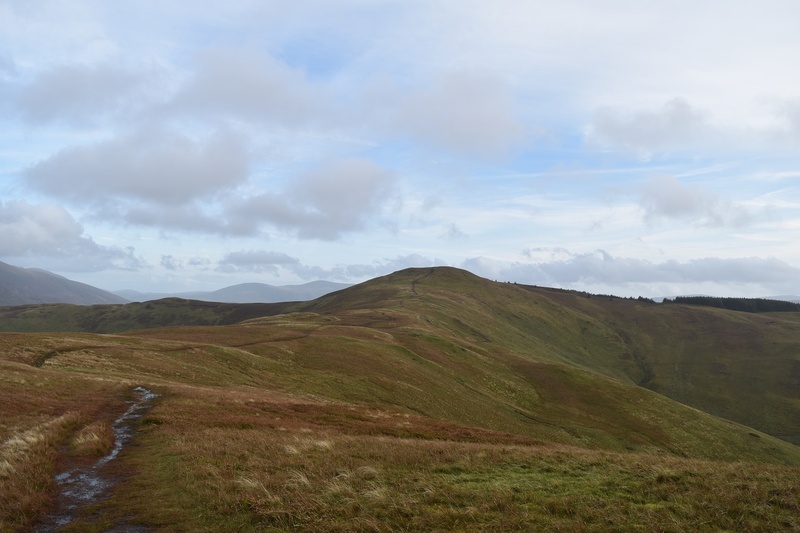 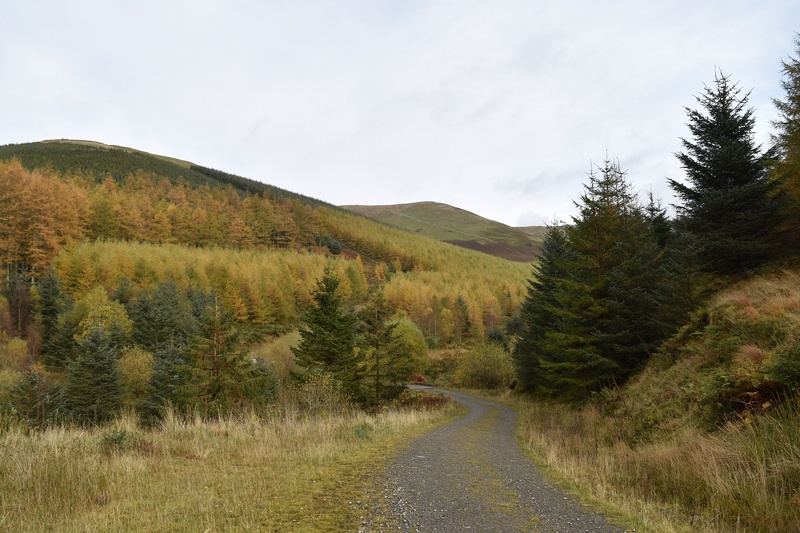 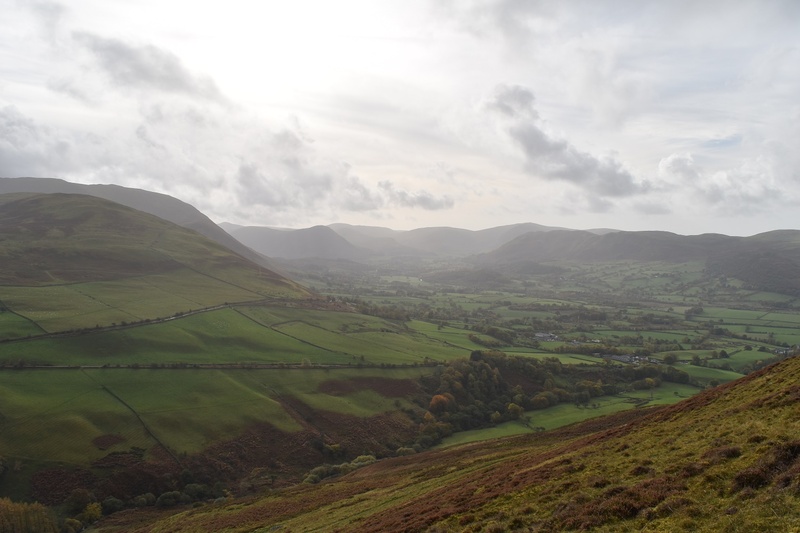 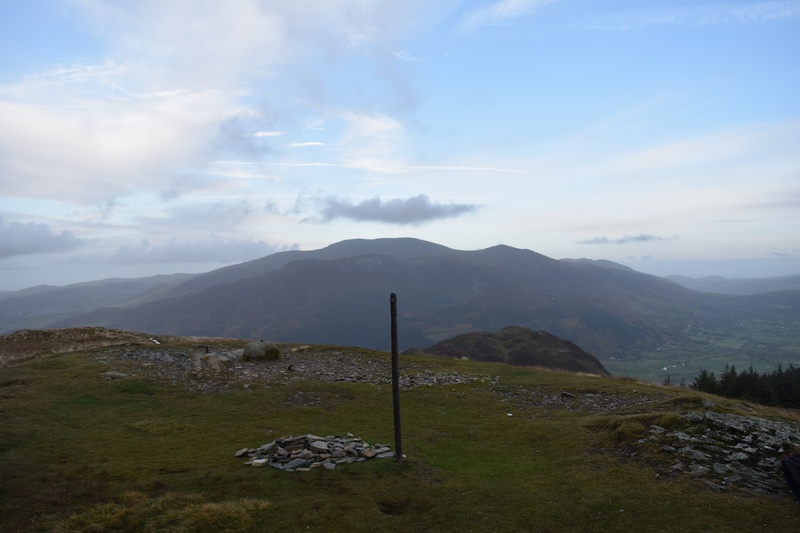 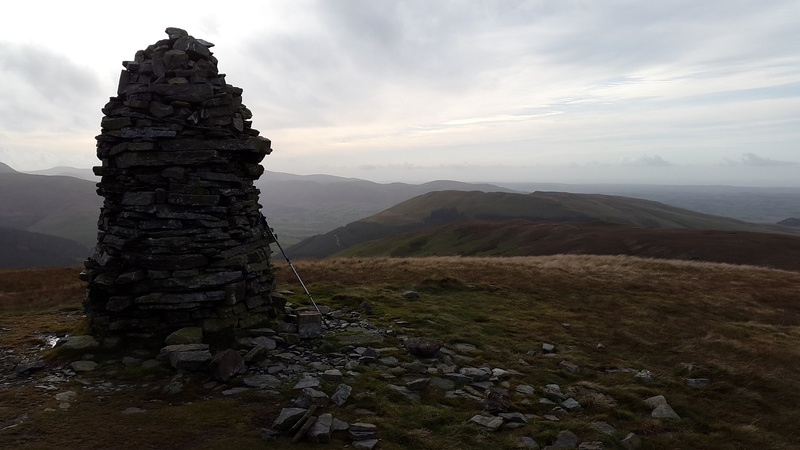 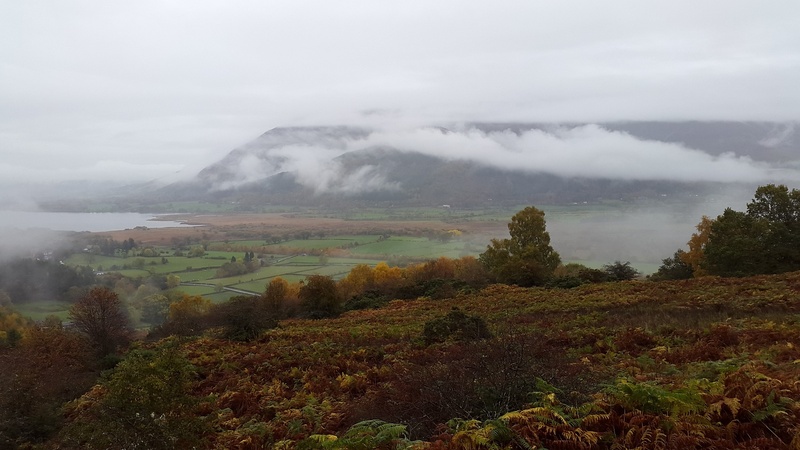 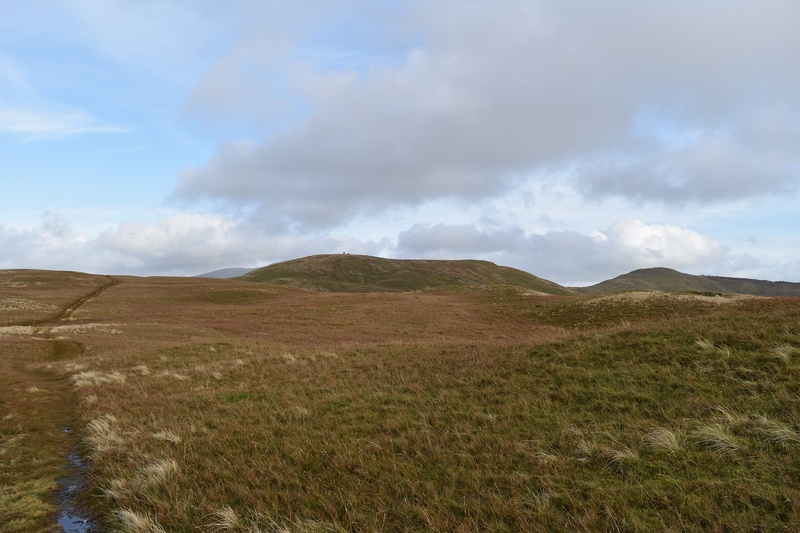 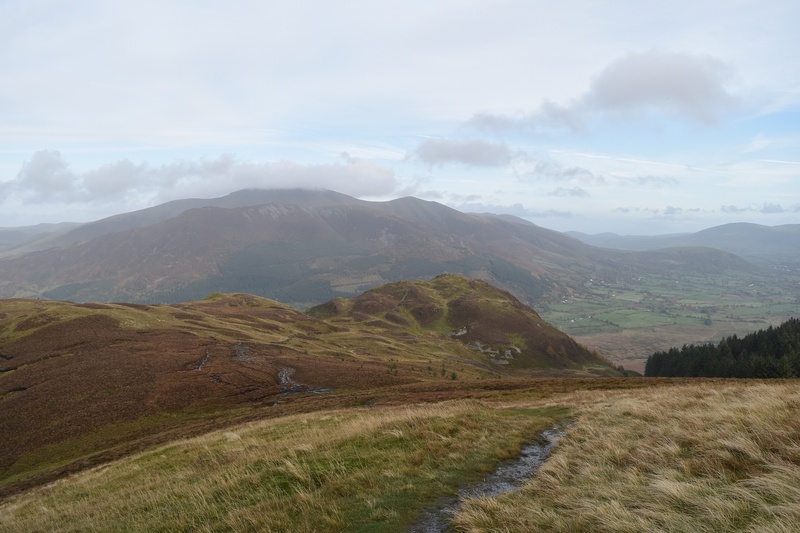 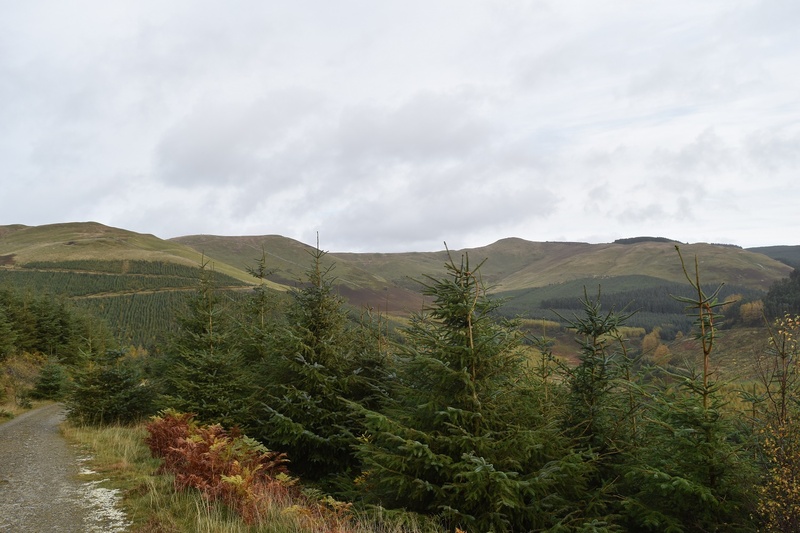 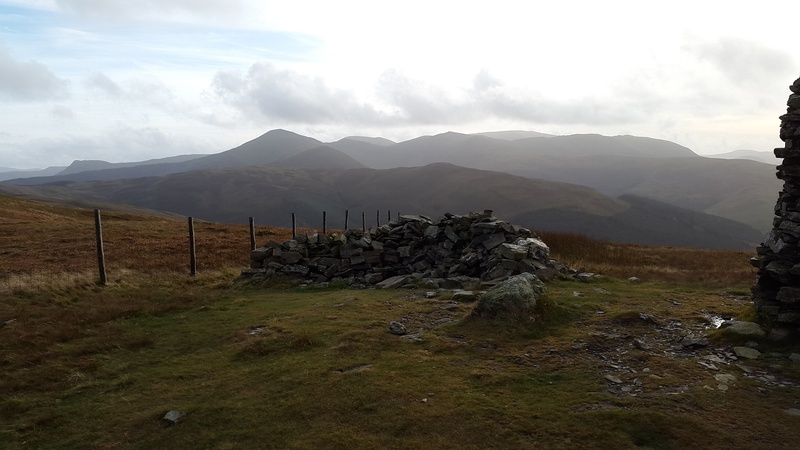 The title Lord’s Seat sounds far greater than it actually is, the fact is that the area around Whinlatter and Lord’s Seat is a grassy, lumpy and sometimes boggy area of land in the North Western Fells. 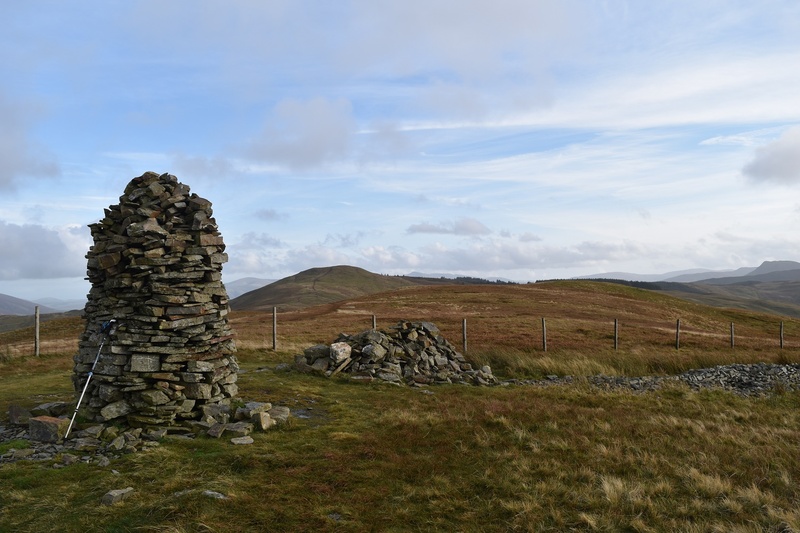 Now as a walker of The Wainwrights we know that at times he takes us to parts that otherwise we wouldn’t necessarily visit. 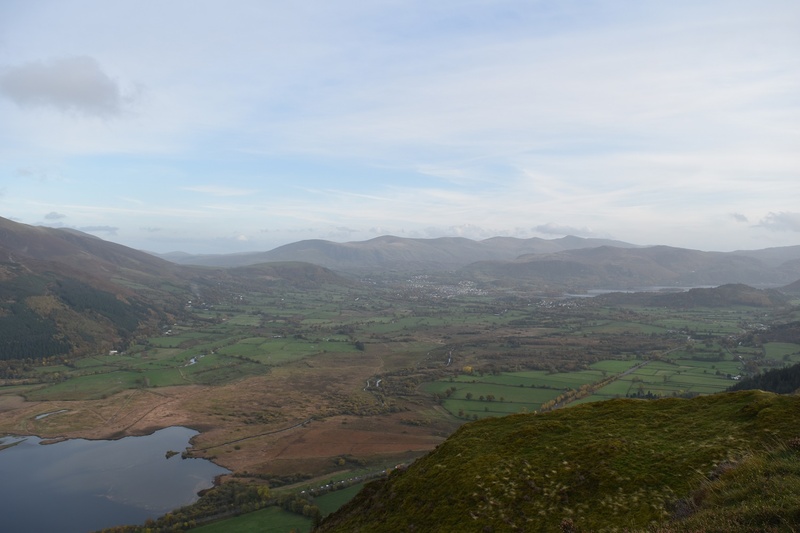 However he does this for a reason, it might be a view, a scramble or an airy path. 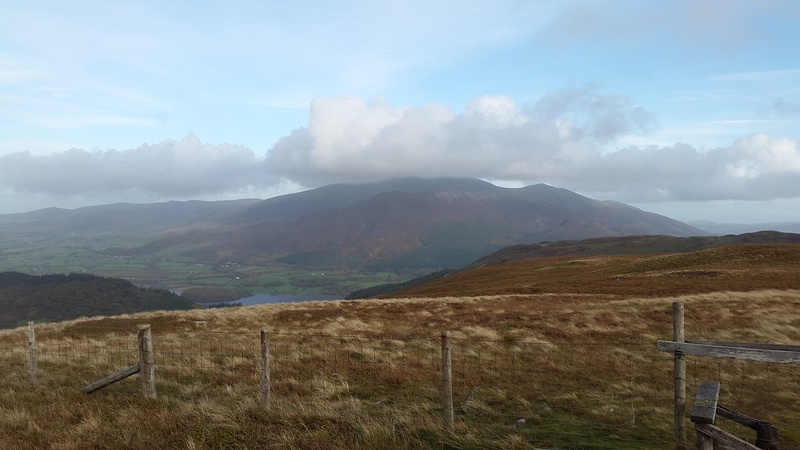 In the case of these North Western fells it might have been to make up the numbers however the view from Barf along to Keswick is brilliant and only surpassed by that of Bassenthwaite Lake which only reveals itself when on Barf. 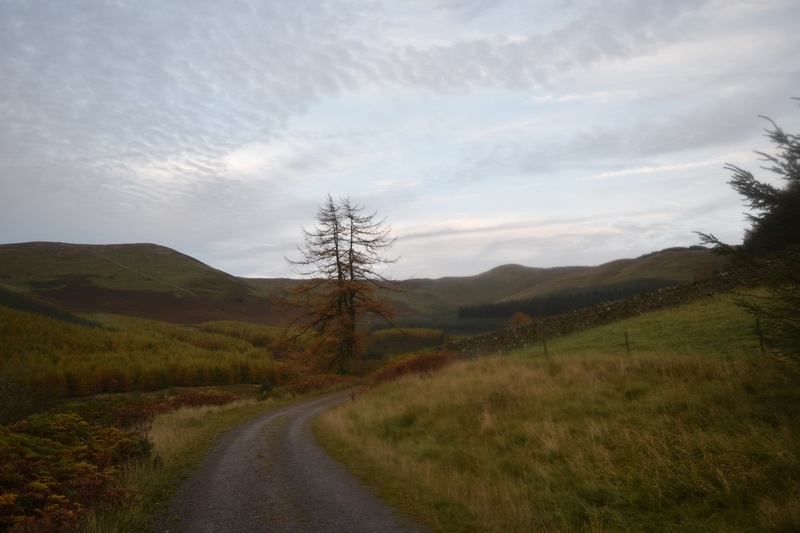 As always on these occasions Alfred was right. 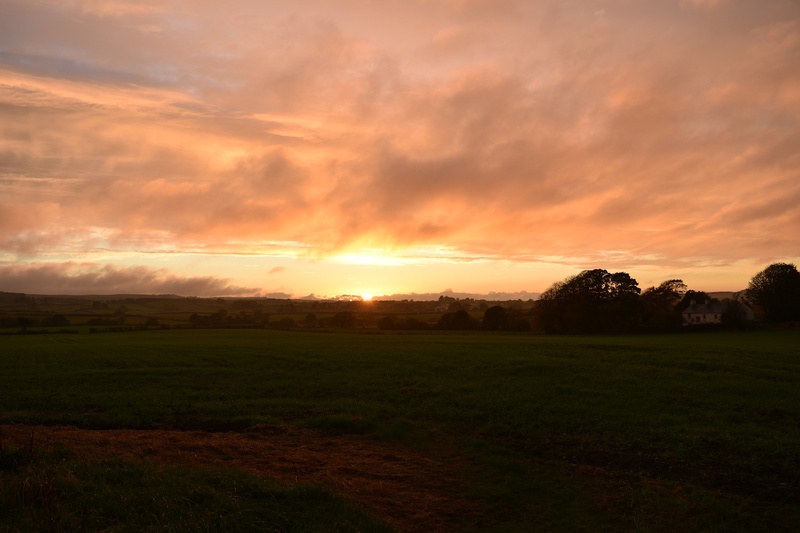 ..it also brought this at the end of the day. 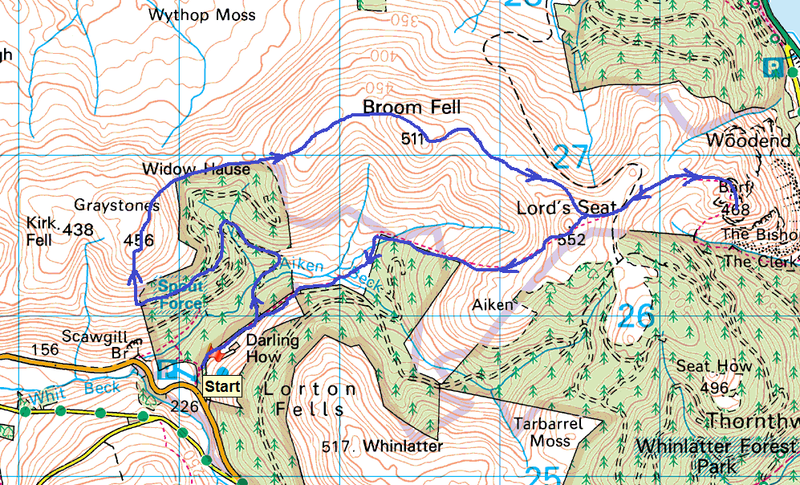 The forecast for Thursday was better after lunch so an afternoon walk was planned. 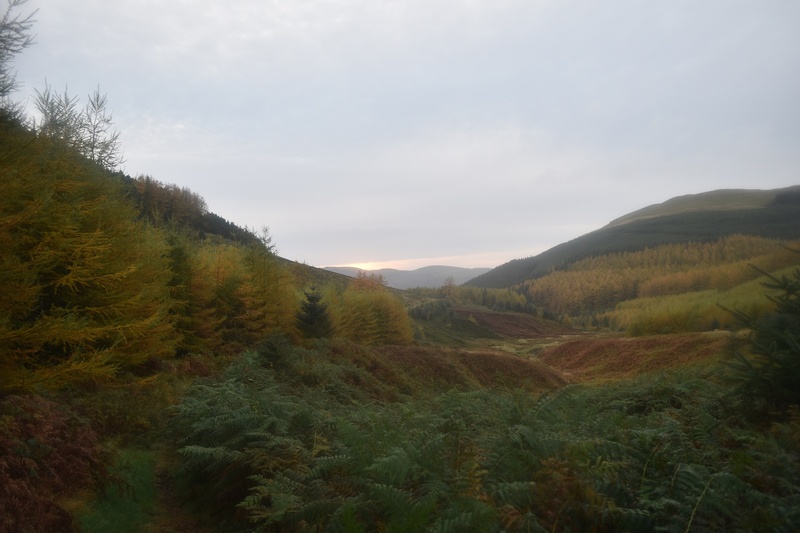 Looking back as I head up to Graystones, lovely autumn colours. 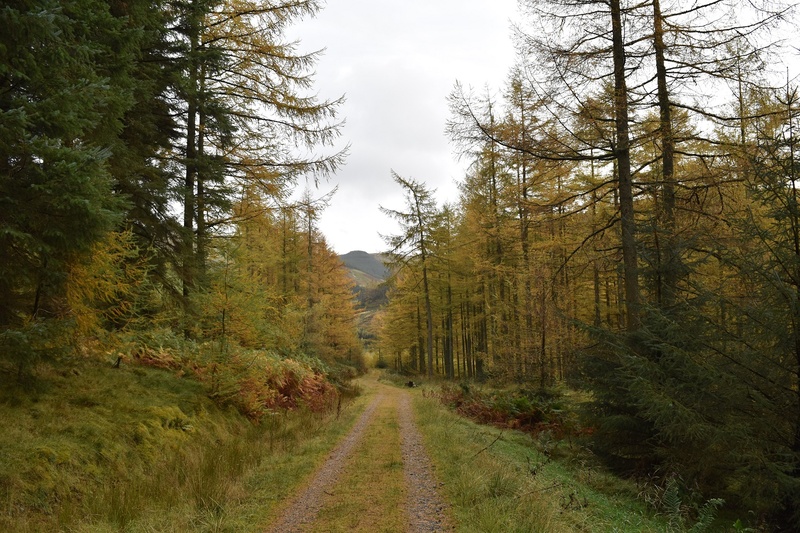 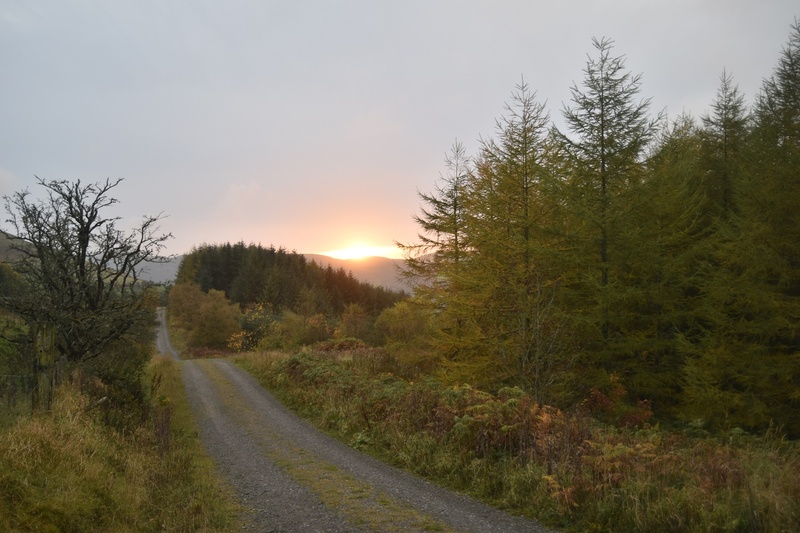 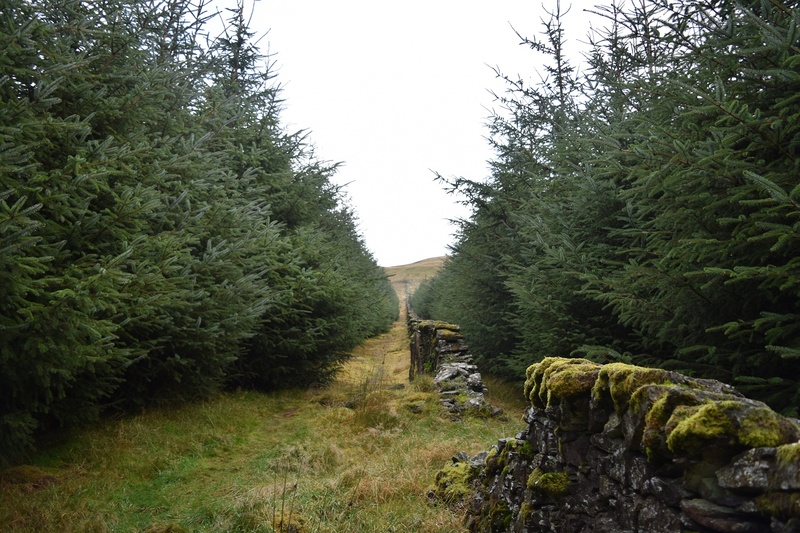 I head left and round the trees, then up to Broom Fell, along to the knobble that is Lord’s Seat, before returning to the car through the trees below Lord’s Seat.